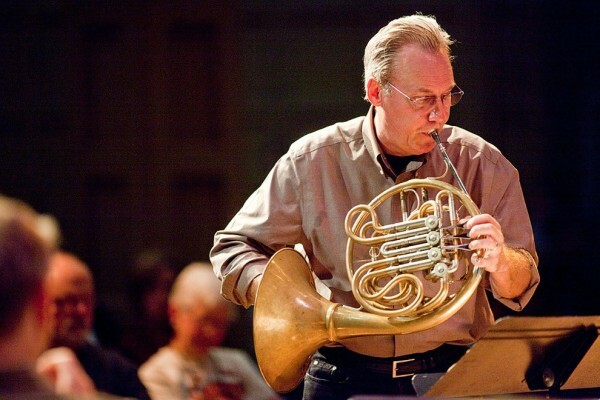 Tom Varner writes: About three years ago, I really enjoyed a collaborative concert that I led with an improvising brass ensemble and sound artists associated with the Seattle Phonographers Union. In the Good Shepherd Chapel Space, it was magical. We did another variation on this type of collaboration in January 2017, and now we’ll present another version, this time with a mix of brass, reeds, strings, percussion, and at least three field recording artists. For me, it is a nice departure from my other work as a more jazz-influenced French hornist/composer, and provides a great setting for musical quiet and reflection — though not without some wonderfully noisy moments! James Falzone (clarinets), Heather Bentley (violin, viola), Paul Kikuchi (percussion), and field recordists Steve Peters, Steve Barsotti, and Doug Haire are great improvisers — I can’t wait to hear a clarinet in a duo with some crackling ice, or a violin with some other haunting far-away sounds. Do come join us.